The real information provided by the new Politico/Morning Consult poll is hidden behind the news sources own headline. Most of the political pundit class may wring their hands and furrow their arrogantly critical brows today about the Politico headline blaring that 54% of Americans don't want ICE abolished. However, the real news provided in the poll is that 46% of Americans are either unsure about ICE or desire it's abolition. The 46% number is stunning considering that the mainstream media has not delved into the substance of the overreach and temperament of the rogue semi-military institution. 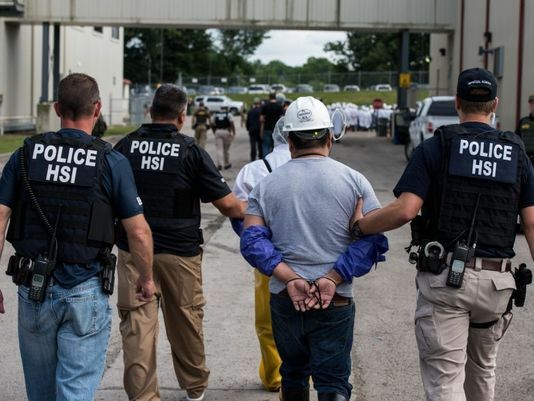 Immigration activists that have called for ICE's abolition have not yet mounted a formal information campaign about ICE's troublesome activities and come to the table with a base of support and a group of Americans that are open to seeing the evidence.